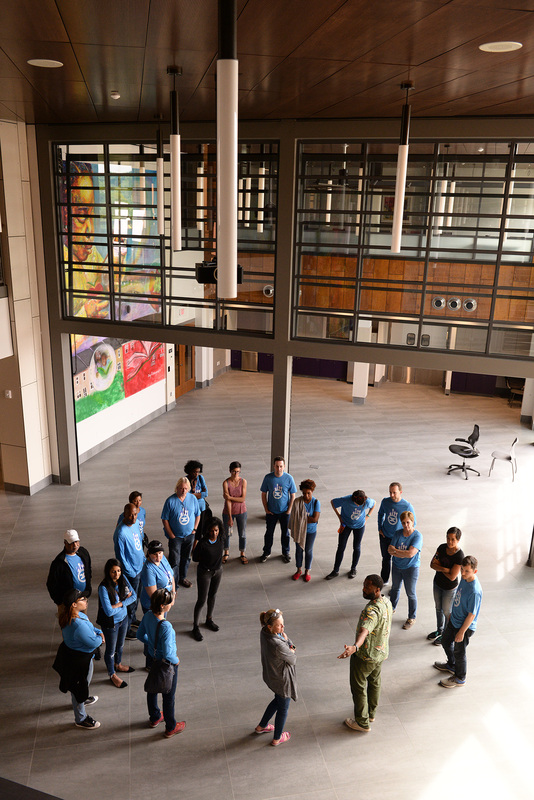 Gentrification and greater income disparity are just some of the barriers to success that impact low-income, underserved communities across the District. Healthy food access is certainly one of them. Healthy food is vital, promoting our overall health, making it possible to be productive at work and in school, and benefitting healthy and dignified aging in community. Without healthy food access, individuals cannot thrive. According to Capital Area Food Bank, 700,000 residents in the Washington Metro area are at risk of hunger; comprising 16 percent of the region. Compounded on top of hunger are companion issues like heart disease, undernutrition, and obesity. 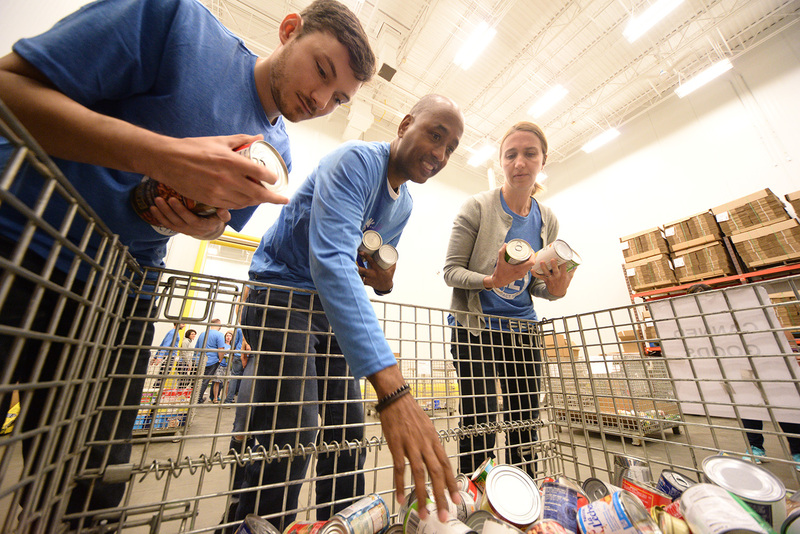 This year, we volunteered at Capital Area Food Bank, a nonprofit helping residents in our nation’s capital access healthy food. Each year, they provide 540,000 meals to individuals who may otherwise go without. 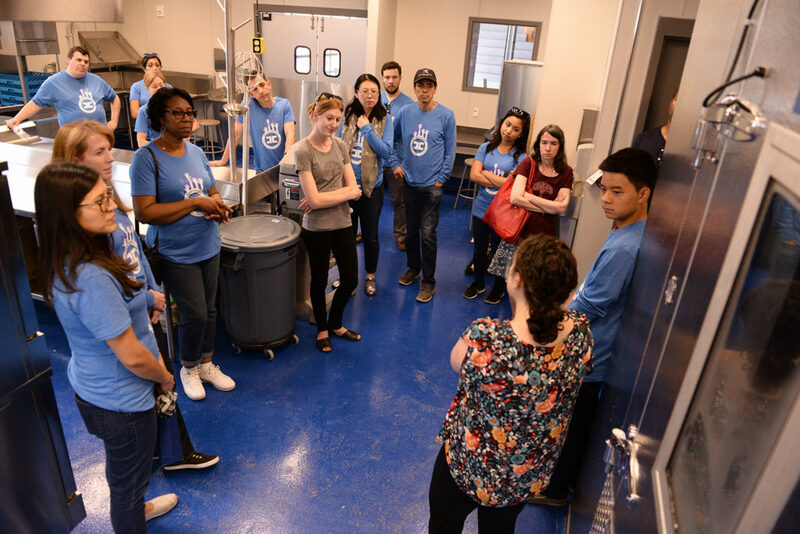 Capital Area Food Bank’s work to support the health of District residents through healthy food directly aligns with our mission, and we were honored to serve with them. In addition to volunteering with Capital Area Food Bank , we visited investments that we are making in disinvested District neighborhoods. Terrace Manor is a well-known case in Washington, D.C. 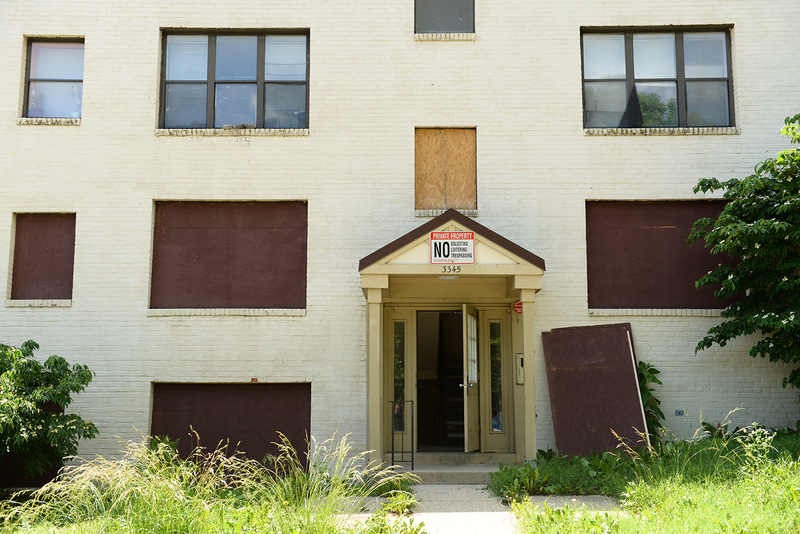 The 2.2 acre, 61-unit affordable housing property in DC’s Ward 8 was allowed to fall into disrepair by its previous owner, leaving many low-income families in unlivable conditions including extensive mold and physical safety issues within buildings. It sits within the Congress Heights neighborhood, which is isolated from downtown D.C. and has historically been disinvested, with high poverty rates. Capital Impact and partners are enabling the redevelopment of the property, which will create more than 168 units of housing for low-income residents living below 50 percent of the Area Median Income. Additionally, we are proud to have been selected as fund manager for the District’s Affordable Housing Preservation Fund, enabling us to expand our investments in affordable housing across the city. We also visited the new headquarters of Martha’s Table. Located in the Fort Stanton/Hillsdale area at The Commons at Stanton Square, Martha’s Table works to address poverty by increasing access to quality education programs, healthy food, clothing, and family supports through a variety of innovative methods. 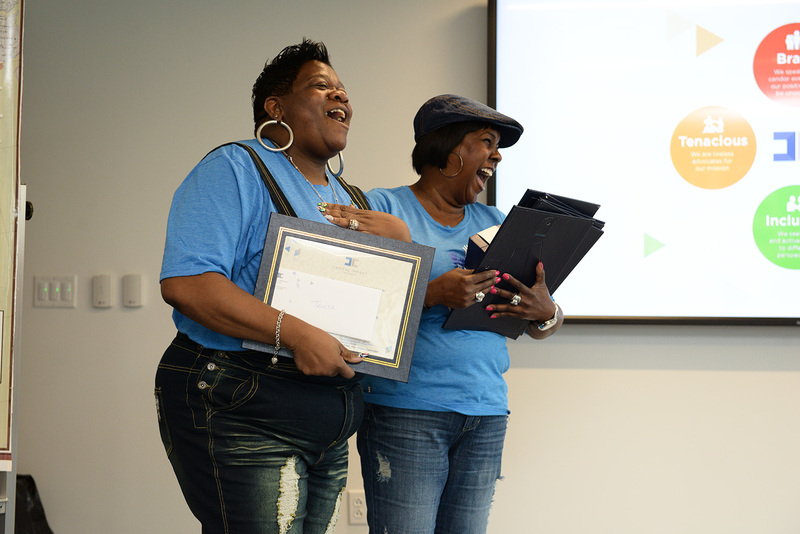 Originally located in downtown Washington, D.C., the organization relocated its headquarters to one of Washington, D.C.’s lowest-income, highly marginalized areas based on community needs. The organization thinks broader than food in reimagining what is necessary to support communities. 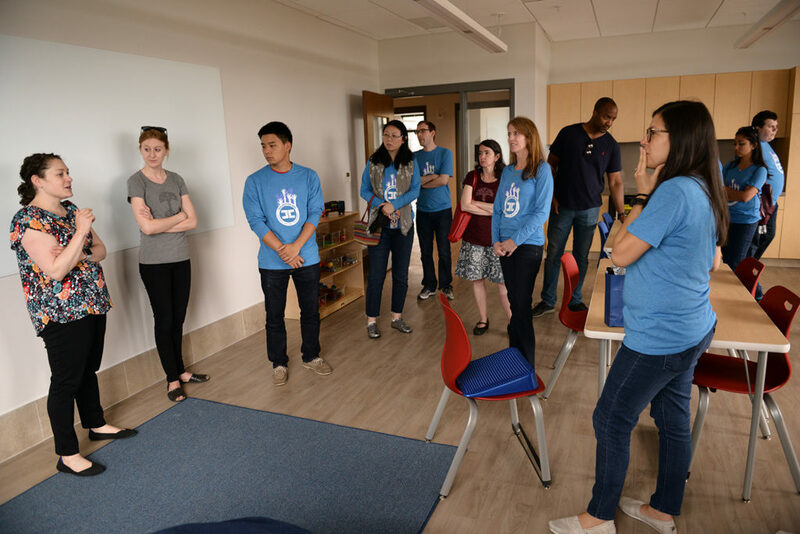 Its “Strong by 8” strategy focuses holistically on early childhood development, the type of innovation needed to address systemic inequities holding back too many of our communities. Through our support of The Commons – which is also occupied by Community of Hope and an affordable housing complex – Terrace Manor, and other investments across the city, we are committing to empower our communities to break the barriers that hold them back from opportunity and success. Look through our photo essay, which gives a glimpse into our day. 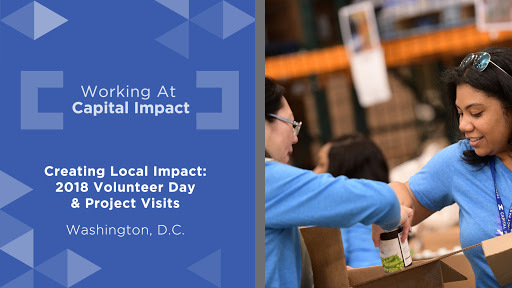 Interested in knowing more about our day getting out into our Washington, D.C. communities? Watch this video to share in our journey. Non-perishable goods are vital in any pantry, especially for families for whom food is scarce. By supporting healthy food programs like Capital Area Food Bank, Capital Impact supports transformative change for communities that have seen historical disinvestment. For families across the District, healthy food access can be a struggle. 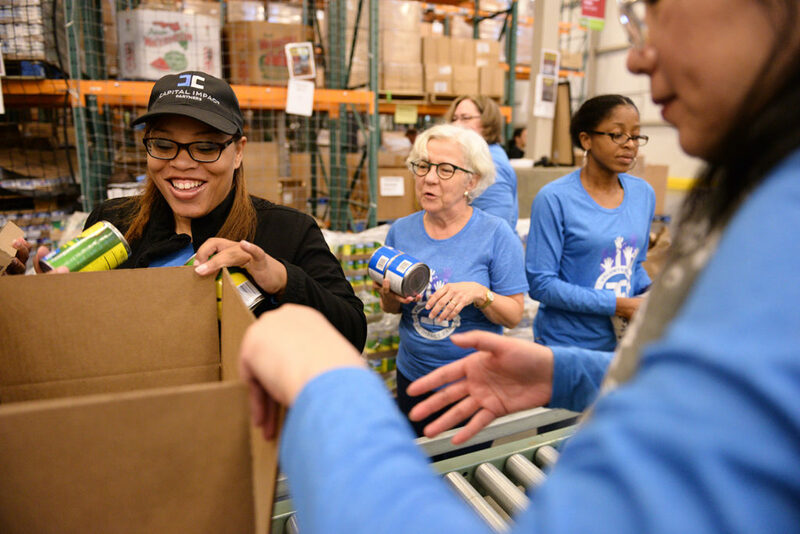 The goods that Capital Area Food Bank coordinates support the health of thousands of Washington, D.C. area residents​. Combatting disparity within District communities empowers marginalized individuals and creates a path to shared prosperity. A pillar of Capital Impact’s work, healthy food is a vital element of a successful future. Affordable housing in the city is limited. Residents of Terrace Manor endured years of neglect, leading to unsafe living conditions in the affordable housing complex. Due to the conditions, residents were relocated and the building boarded up. 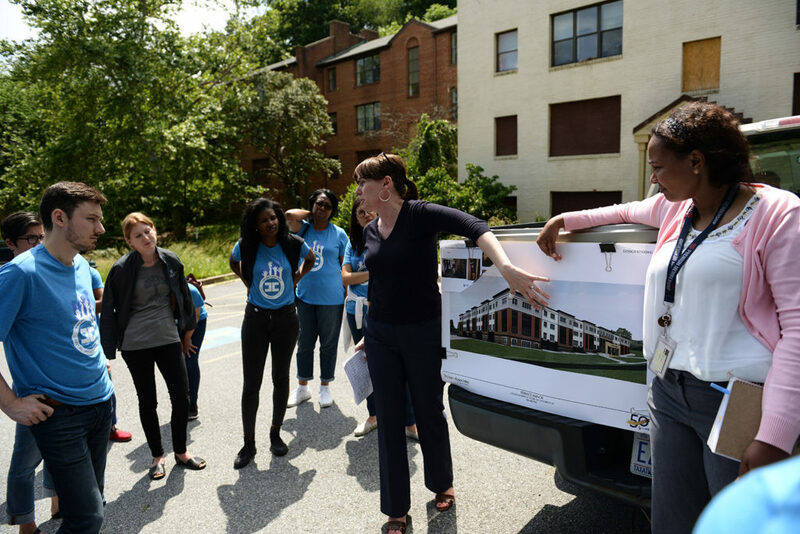 To preserve affordable housing for residents of Ward 8, Capital Impact and partners ​are investing in the redevelopment of Terrace Manor. Investments like these can help create community stability and provide individuals with one of the most vital resources for success: housing. The services available at Commons at Stanton Square serve an essential function, providing the residents of the Fort Stanton/Hillsdale​ community and Wards 7 and 8 with education, healthy food, and housing, removing barriers to success for marginalized individuals and families. Quality education is critical to driving brighter futures for children and their communities. Martha’s Table uses a “Strong by 8” strategy, which focuses holistically on advancing early childhood development​. Through the age of eight, children go through a critical formative period that lays the groundwork for future achievement. 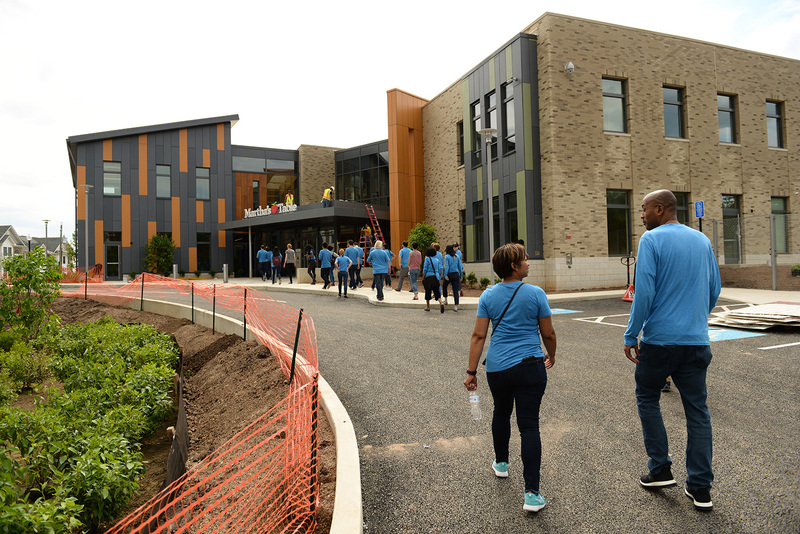 Build with community needs in mind, the new headquarters of Martha’s Table includes ample space to hold community events. ​…so is quality time for exercise. 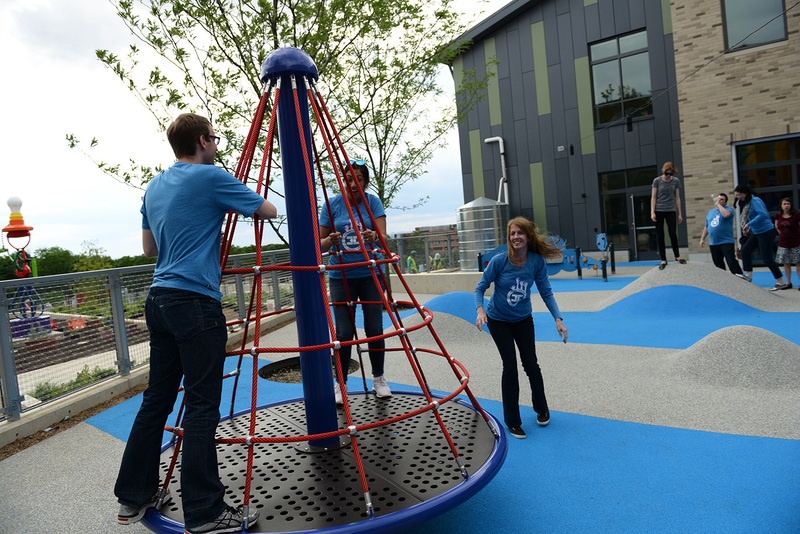 The state-of-the-art playground at Martha’s Table gives children the opportunity to stretch their legs and learn from play. Capital Impact also tool time out to acknowledge our staff members’ commitment to our values. At our offsite, we celebrated “Inclusive,” which anchored the activities of the day.